An introduction: What is the holocaust? The Holocaust (1938-1945) was the mass genocide of different religious, race and mental state groups during WWII, in Nazi Germany. Jewish people, soviet war prisoners and many other groups were seen as inferior beings to Hitler, and were sent death camps to be killed. 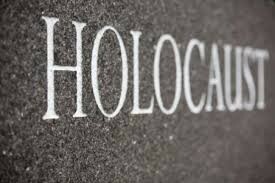 The main group targeted was Jewish people, having a population of over 9 million in Europe and decreasing to 3 million in 1945, when the holocaust ended. The rise of Anti-Semitism, influenced by the Nazi and their propaganda , caused what is called "The final solution", in which Hitler declared the total extermination of the Jewish race. Ghettos around Europe were ordered to either transport all Jews to extermination camps, or become one themselves. Trains were a useful transport for the Nazis to port Jews into concentration camps, which can be seen in Source 2. 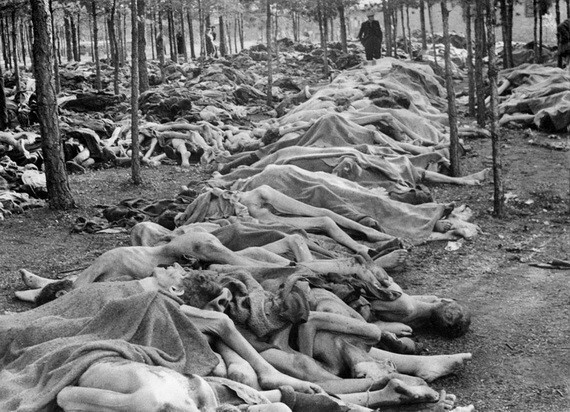 The Jews were killed in various ways, the most popular way by gas chamber. Others include firing squad, starvation, etc. Some were deported to other countries rather than being killed, or worked to death, if they were fit enough. Auschwitz was one of the largest extermination/concentration camps used by the Nazis to hold and execute Jewish prisoners during WW2. It was located in Nazi annexed part of Poland, Upper Silesia. Auschwitz consisted of a network of concentration/extermination camps, as well as oven units used to burn the Jewish bodies. 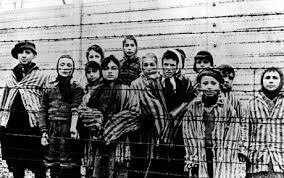 Auschwitz accumulated the most deaths out of all other extermination camps, estimating around 1.1 million of the 1.3 million deported during 1940 to 1945. 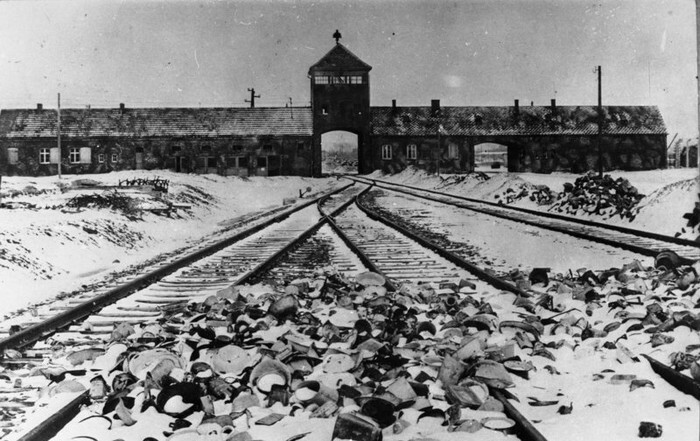 The 3 main camps were Auschwitz 1, Auschwitz 2 and Auschwitz 3, all of which where part of the Auschwitz network. It housed Soviets POWs, Jews, Gypsies, gays and many more seen as inferior by Hitler. Auschwitz 1 was the main camp, having been in construction in April 1940, after an abandoned Polish military base was annexed and controlled by the Nazis during world war 2. Auschwitz 1 was used to physically eliminate fit prisoners by assigning them labor-related tasks until they die. 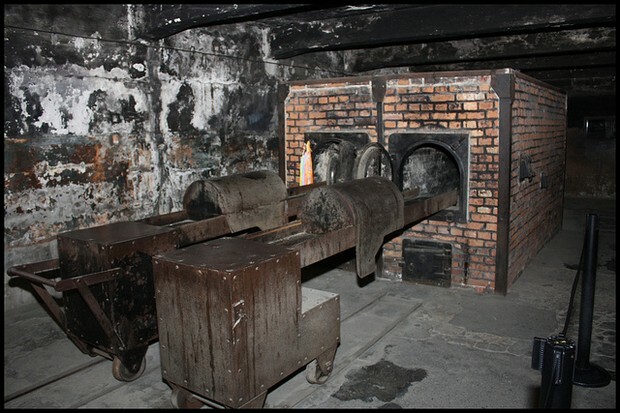 Auschwitz 1 also had gas chambers and crematoriums to execute those deemed unfit for work. Medical experiments were conducted in the camp on Twins, infants and dwarfs, Josef Mengele being the best-known physician. Auschwitz 2 was the second camp, having the highest prison population of the other camps. Auschwitz 3 was a labor camp used to exploit prisoners into working in Buna synthetic rubber works. All the camps had their own purpose, however, they all had the same agenda. Sub camps were also built in the entire Auschwitz, 44 of which were built. Life in Auschwitz was difficult. The prison was cold, even in summer. Prisoners woke up early, and wore striped uniform to be identified. Food rations were extremely low, prisoners having one hot drink for breakfast, and moldy bread for dinner, not exceeding 700 calories. Sanitation was extremely poor, filthy water and mud being seen everywhere. Miklos Nyiszli, a survivor of Auschwitz, describes her experiences: "Eight hundred to a thousand people were crammed into the superimposed compartments of each barracks. Unable to stretch out completely, they slept there both lengthwise and crosswise, with one man's feet on another's head, neck, or chest. Stripped of all human dignity, they pushed and shoved and bit and kicked each other in an effort to get a few more inches' space on which to sleep a little more comfortably. For they did not have long to sleep". Source 4 shows an image taken in Auschwitz of Jewish prisoners during WW2. 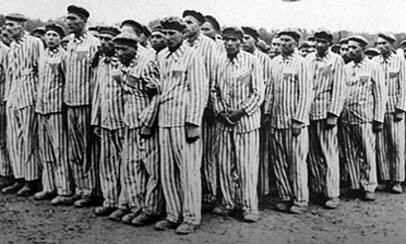 The Jews are in striped uniform in order to distinguish between other prisoners such as soviet POWs. The electric fence was used to contain the prisoners within the camp. Footage of a drone videoing the modern day Auschwitz, filmed in feburary, 2015. How were the prisoners killed? Was there a process? What happened in the camps? The holocaust was a very bloody and inhumane process. Many methods and processes were established and used in the holocaust. These processes ranged from who was selected to be killed first, to how the gas chambers worked. The selection process was the selection of which prisoners are chosen to work or die first. Trains filed with a massive amount of prisoners would travel from ghettos, and arrive at concentration camps. Prisoners would be split from gender, and the selection process begins. Too old or too young, unfit and unhealthy prisoners, were killed first. They were sent to gas chambers and buried or burnt, sometimes literally after just arriving to the death camps. Healthy, fit and mid aged prisoners were killed last. They were split apart from other prisoners and put into their own group. The healthy prisoners were shaven bold, tattooed identification numbers and given standard uniform. These prisoners now worked hard labor, sometimes war-related construction, until they died. 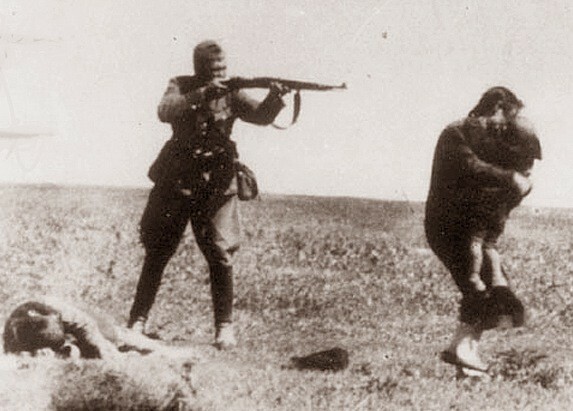 The prisoners, weather they were jews, soviet POWs or other types of inferiors, were all killed systematically. The best known technique is through gassing. Prisoners were told that they were going to have a shower, often with the aid of Sonderkommandos (Prisoners volunteering to deceive and loot prisoner bodies). The prisoners were also told to leave all their belongings behind, and they will have a chance to retrieve it after their "shower". Once the gas rooms were filled with Jews, the doors would shut, and SS soldiers would drop Zyklon B gas through mesh vents. The air would be filled with a eye watering and suffocating gas, killing everyone in the room within minutes. Once everyone is dead, Sonderkommandos would be ordered to loot all the bodies, including teeth. The bodies would then be moved to another room, a crematorium, where they would be burnt within 20 minutes into ashes. Sometimes, the bodies would be disposed in massive land dumps, with no funeral or separate holes. Events leading up to the holocaust. What steps were made bit by bit to cause the holocaust? After a long history of imperialism and militarism between Germany and Britain, a war finally broke out in 1914, The Great War. The results after the war were devastating, no country was prepared. Poverty spread all across Germany after The Great War, barely anyone had enough money to live, due to the Treaties of Versalies. Every German wanted the same thing, to have enough money to live and to have a powerful leader who will make Germany the great country it is supposed to be. That powerful leader was supposed to be Adolf Hitler. Hitler promised to make Germany the powerful nation is should be, and in 1933, he was officially the ruler of Germany. He immediately proved his totalitarian dictatorship through the use of terror and indoctrination. He had his own secret police which would monitor and filter all that oppose him, from artwork which mock him, to someone speaking bad about the Nazis. He also influenced people into loving him through the use of propaganda. Hitler would influence people into agreeing with him, by teaching children at young age about the Nazis and how powerful Hitler. Hitler believed that there was a specific race above all, the Aryan race. He believed that blond, blue eyed Germans were superior to everyone and everything else, and manipulated the population into agreeing with him. Hitler also believed the Jewish race as inferior to all, and slowly started attacking them as he was grabbing more followers from his propaganda. Hitler encouraged Anti-Semitism. He ordered teachers to teach children how evil the Jewish race is, and also made laws against Jews. A one day boycott on all jewish stores was made shortly after Hitler was dictator of Germany. Jews began to have less rights as Hitler dug deeper into the 1930s. Eventually, the Nuremberg laws were introduced, which restricted Jews from marrying other Germans. Anti-Semitism started becoming a normal concept, and everyone either agreed, or were killed by Hitler's secret police. By far the most anti-Semitic event to happen was Kristallnacht, which occurred in 1938, November 9-10. Hitler ordered the complete destruction of Jewish properties, and everyone must participate. 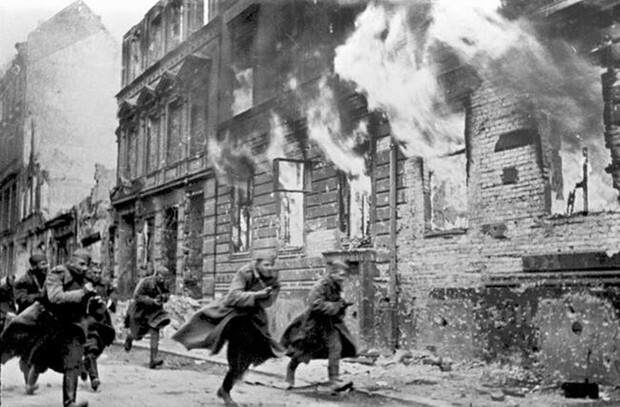 Thousands of Jewish stores were raided and looted, over 91 Jews were killed in the progress and houses were burnt. Once complete anti-Semitism flooded the streets, Hitler introduced "The final solution to the Jewish question", in which, the total extermination of all Jewish people in Nazi-controlled territories was ordered by Hitler. This, then caused the Holocaust. The holocaust was a traumatic event to everyone, even to some who read about it. After all the killing, the racism and the hatred towards the same human species, the holocaust, as well as WW2,ended. When Hitler made the mistake of Invading the Soviet Union, he lost WW2 in 1945, and killed himself to avoid punishment. Soviet troops entered Auschwitz and were traumatized by what they saw. Thousands of starving men, women and children, laying on the floor awaiting death. The troops liberated the camps, however, many prisoners were not present, as Hitler ordered all prisoners to walk Westside, until they die. These were known as "Death marches", and were used because it was imminent that Germany was going to lose the war and have their camps liberated. Many Jews after the holocaust needed to recover from what they saw and lost. Some stayed in the Germany, which was now switched back to the poverty Germany in 1932, others needed a new country. Many fled to Palestine in 1948 to live a new life in Jerusalem. They colonized their part of the region and called it Israel, which was chosen due to it being the home country of Jewish people in 930BC. For some, this was a present for the Jews after what happened at the holocaust, but to others, It further builds on the chain of historical events and causes more stuff to happen further in history, such as the Arab Israeli war, which still thrives to this day.